DJ-Quake 2.1 - Party On - Earthquake Sound Corp.
Earthquake is proud to introduce its new DJ-Quake 2.1 System. 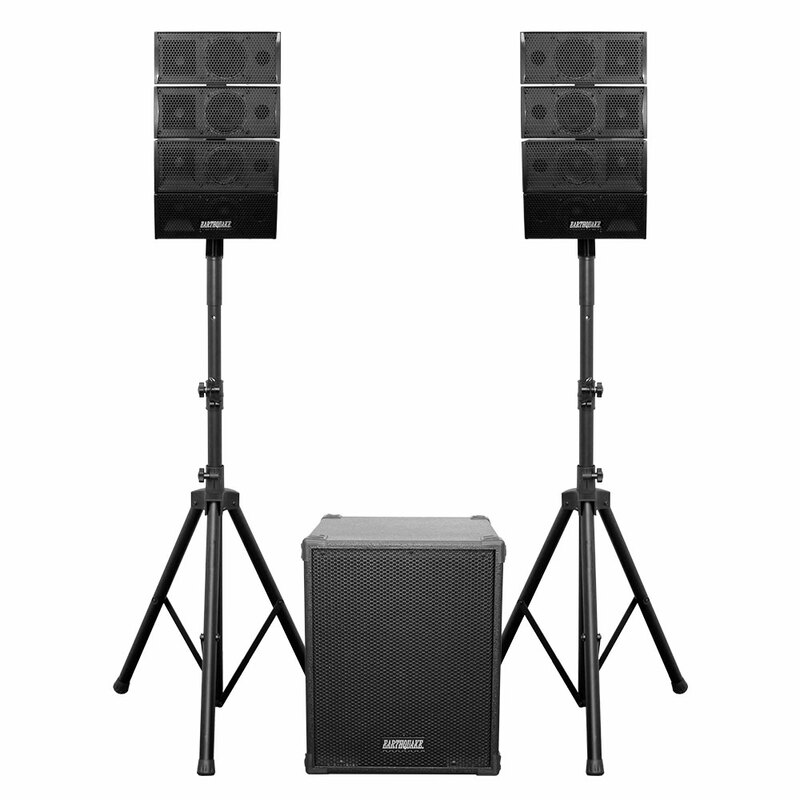 It is a portable speaker system that consists of two 4 x 4-inch array speakers and one 12-inch subwoofer with a built-in 1000-Watt amplifier (400 Watts RMS). The amplifier features balanced and unbalanced line inputs, as well as a digital media player with USB/SD and Bluetooth inputs. on Friday, January 06 2017.